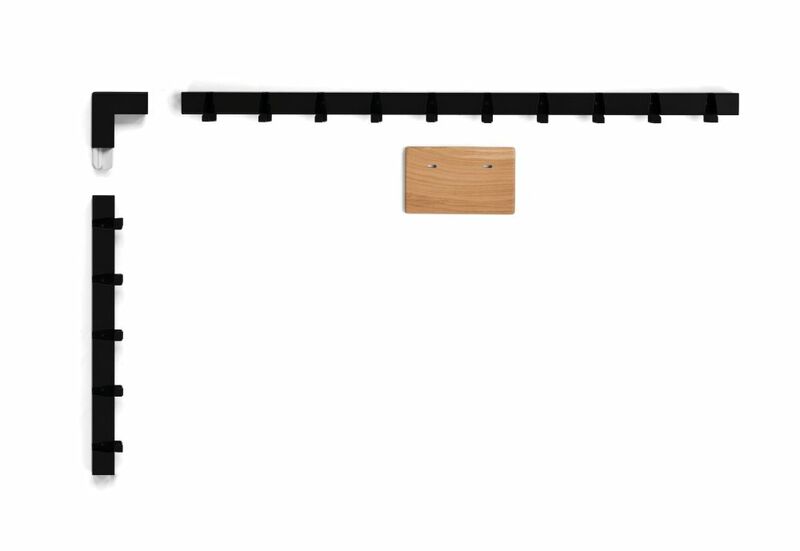 With a nod to the shakers' wall stretching coatracks, the base of the coatracks is a square metal bar which is laser cut in a six-meter stretch. After this the hooks (which are 10 cm apart) are pulled out by hand. The hole the hook creates, allows you to screw the rack onto the wall.